There are good arguments on both sides of the EU debate, both for staying and for leaving. Unfortunately, many bad arguments are being made. Here are 10 of the arguments for remaining in the EU that do not stand up. It is commonly claimed that if the UK were to leave the EU, some 3m-4m jobs would be "at risk." Nick Clegg is among those who have claimed that some 3m jobs are "dependent on our EU membership." This is incorrect. As Ryan Bourne has shown, these jobs are dependent on our export trade with other EU countries, not on our membership. If the UK left the EU, it would negotiate a trade deal with the EU, and exports would continue. It is not in the interests of other EU countries to cease trading with the UK, since trade benefits both partners. Countries as different as the US, Peru and Mexico all have trade deals that grant their goods access to EU markets and allow EU goods to sell in their own markets. There is a case that UK jobs might increase if it left the EU. The EU share of UK exports has been declining, and is now less than half of what we sell elsewhere. It would be in our interest to expand trade with global partners such as China, and untrammelled by EU trade rules, it would probably be easier for us to do so. Some of those predicting job losses previously predicted that the UK would lose 2m jobs if we failed to join the euro. They were wrong. There is no evidence of any job losses attributable to our keeping the pound. In fact that decision made it easier for the UK to deal with the Financial Crisis. We were able to implement policies denied to the euro countries, and were able to create more jobs in several years than the euro countries combined. The UK has seen job gains, not losses, because it kept its currency. The thinking behind this is that in a world of continental powers, the UK is a small island without much impact. By being part of the EU, it acquires that body's collective strength and bargaining power, and can thus exercise more influence than it ever could unaided. This notion derives from an age now past. It was true in the 1960s and 1970s that the UK's influence had much diminished and was still diminishing. The country had the lowest growth rate in Europe and the highest strike record. Beset by costly and unresponsive nationalized industries, and plagued by aggressive and powerful trade unions, Britain cut a pathetic figure and was sometimes called "the sick man of Europe." One of the motives for joining the EU (then called the EC) was the widespread feeling that we couldn't cut it on our own. This changed in the 1980s and early 1990s as the UK reformed itself. It went from the lowest growth to the highest, from the highest strike rate to the lowest. It acquired a confidence it had lacked before, and became more influential as other countries noted and admired its progress. The UK is not currently very influential within the EU. When it votes against measures proposed in the Council of Ministers it is defeated. Its interests compete with those of 27 other nations, many of whom often combine to promote their own interests. Increasingly the Eurozone countries combine to pass measures inimical to the interest of those not in the currency union. Although some argue that firms would leave the UK and relocate within the EU if Britain voted to leave, there is scant evidence that this would happen. Only 5 percent of UK firms trade with the EU, but all firms currently have to obey EU rules and accept EU regulations. Many small and medium enterprises complain that they are adversely affected by those rules, and that extra costs are imposed upon them when they have to comply. They would stand to gain if the UK took control of its own business climate, and they would have no reason whatever to leave. Among the 5 percent who do trade with the EU, there are many who would like to see control over trade deals taken back into UK hands. There are, it is true, a few large companies who favour remaining in the EU because its rules raise barriers that potential new competitors find it difficult to surmount. They are a minority that has strong influence over the Confederation of British Industry, whose "surveys" of opinion have been exposed for using flawed methodology to make them seem more representative. Even among these, there are hardly any that threaten to leave, and almost certainly none that would actually do so. It was said that is we failed to join the euro, many businesses would leave the UK. In the event it did not happen. Most business leaders, when asked, deny there is any question of them leaving the UK for elsewhere in the EU in the event of a UK withdrawal. These include big employers such as Vauxhall, Nissan, JCB, Airbus and GE. Any who did so would be at a huge disadvantage with respect to those who did not. They would have to follow EU regulations for their trade with the rest of the world, whereas their still UK-based competitors would only have to follow them for their trade with the EU. The theory is that if the UK were no longer located within the EU, foreign firms would transfer their investment to countries still inside it. Even if firms retained their factories and facilities already here, it is argued, the UK would lose new investment because those firms would choose to expand within the single market rather than outside it. If the UK did decide to leave, it would negotiate a trade deal with the EU that allowed reciprocal access to each other's markets, just as the US, China, and many other countries have already done. International firms would therefore have no reason to consider the UK as a less attractive investment opportunity than it is presently. Although the claim is made that they would pull out investment, there is a paucity of international investors announcing plans to withdraw investment, or even talking of doing so, if the UK votes to leave. On the contrary, car makers and others have said they have no plans to withdraw present or future investment if it does so. 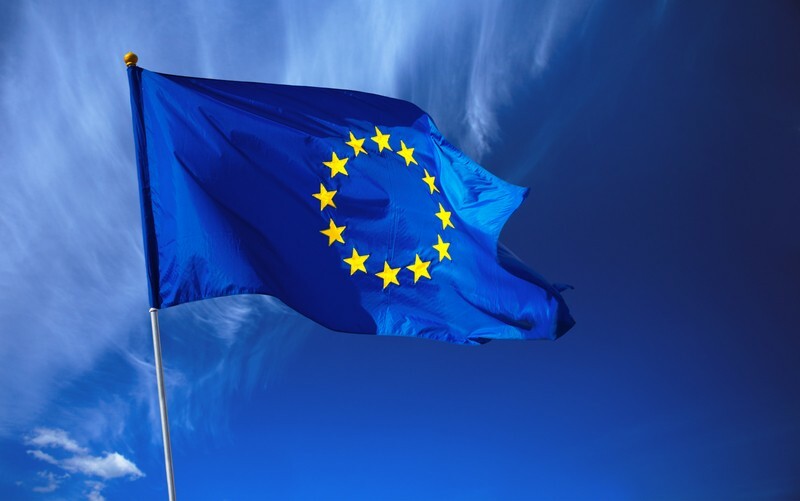 Ernst and Young's Attractiveness survey found that 72 percent of US investors and two-thirds of Asian investors would like the UK to have "looser" relations with the EU. This means that instead of wanting to keep the UK bound tightly within the EU and its rules, investors would be relaxed, even favourable, to a looser relationship such that the UK might enjoy outside the EU, but with a trade treaty negotiated with the EU. The UK is the favoured destination for foreign inward investment in Europe because it enjoys certain advantages, linguistic, cultural and historical, as well as business and financial. Those advantages would not be eroded if the UK decided to leave the EU. On the contrary, the odds are high that they would be enhanced if the UK were free to offer deals and terms that it is currently prevented from doing by the need to comply with EU rules and directives. Lord Heseltine recently flew this particular canard on the Radio 4 Today programme. He actually said that if the UK voted to leave, "our trade policy would be made in Germany without us having any say in it." It is certainly not true that America's trade policy is made in Germany, or Switzerland's, or Mexico's, Peru's, Australia's or the other countries that trade with the EU without being members of it. A UK outside of the EU would similarly negotiate a trade deal with the EU. It would, like the other countries, comply with EU rules for the goods it traded with the EU, but not for goods traded outside it. The EU in turn has to meet the standards of the countries it exports to for the goods it trades with them. Some 95 percent of UK firms do not trade with the EU, so would not have to comply with EU rules, or have their trade policy decided in Germany without having any say in it. The UK's trade policy would be made in the UK, not in Germany or Brussels, and would be such as to aid and encourage UK firms instead of tying them down with many pointless restrictions. Some people seem to assume that the UK would have a "Norway-type" relationship with the EU, or a "Switzerland-type" relationship, but if the UK did leave the EU it would develop and negotiate its own relationship with the EU, like many other countries have done. This has been said by some of those who support the UK remaining within the EU, including Lord Heseltine, even though it is obvious and palpable nonsense. Assuming that the other member states remain within the EU if the UK decides to leave, the EU will continue to exist, although containing 27 members for the time being instead of 28. The UK would not have to negotiate with them one by one because the EU negotiates on their behalf. We would negotiate a trade deal with the EU, a deal that would then apply to all of the remaining members. UK firms would gain access to the single market via that trade deal, and their goods would then be able to enter each of the individual countries that make up the EU on the same terms. Similarly the goods from each of them would be able to enter the UK, all on the same terms as will then apply to the others. UK citizens have their preferences, of course, as to which EU countries they favour more than others. Character, culture and history play a part in their choice of countries to visit, as does climate, and obviously the cost of living plays its part. These preferences would continue to be exercised, and doubtless to change over time, if the UK were no longer a fellow member of the EU. But the rules governing visits to them by UK nationals would be decided centrally by the EU, not by the 27 countries individually. The Schengen Agreement for borderless travel between countries within the area does not currently apply to the UK because it, along with Ireland, chose not to join. This would be unchanged if the UK left the EU. UK citizens would have to show passports on entering other EU countries, as they do now. The difference would be that UK travellers would walk through the lines marked "non EU members." This also would not require negotiation with individual EU states. Some commentators seem to think that if the UK voted to leave, then the EU would act vindictively to punish it for doing so by cutting trade links. Such an outcome is far-fetched to the point of fantasy. Countries to not behave like that, especially with friends and allies. They work together for mutual benefit and self-interest. The EU has signed free trade deals with many countries, giving them access to its single market in return for its members having access to theirs. There is no doubt whatsoever that it would do the same with the UK if it chose a future for itself outside the EU.
" The Union shall develop a special relationship with neighbouring countries, aiming to establish an area of prosperity and good neighbourliness, founded on the values of the Union and characterised by close and peaceful relations based on cooperation." Britain is too important a trading partner for much of the EU for them ever to consider ending that economic interdependence. Similarly the UK's trade with the rest of the EU, although now less than our trade with the rest of the world, still represents almost half of our total trade. It is in the interests of both parties to allow mutual access to each other's markets, and there is no question that this would continue if the UK voted to leave. A free trade deal would be negotiated with the UK, just as the EU has already negotiated similar deals with other countries. If we left the EU, there would still be constraints upon our ability to control immigration because of our commitment to international human rights and asylum conventions. We would, however, be able to restrict the numbers of EU citizens allowed to move and settle here. Whether we would want to do that is another matter, but we would no longer be forced to allow free movement of EU members if we were ourselves no longer part of the EU. In some areas we would negotiate with other countries, but our ability you do so would be enhanced rather than diminished if we were able to do so independently, instead of having to do so collectively through the EU. There is no doubt that an independent UK policy on immigration would give it greater control than it could achieve through an EU wide immigration policy imposed upon it. Some strange claims have been made, including one that the French would stop policing the migrant camps near Calais if the UK quit the EU. They would apparently do this to punish us for leaving, leaving Britain at the mercy of mass attempts to infiltrate into the UK. There is no evidence at all that anything like this would happen, or that it would have the effect predicted. No officials or spokespeople have indicated an intention to do this; the idea is empty and utterly implausible speculation. It is difficult to see where this idea comes from because there is nothing to support it. If the UK opted out of the EU, there is no way that our ex-partners in that union are suddenly going to deport all UK citizens living within their borders. They would have no reason to do so. Nothing in our relationship with the EU, either now or following a withdrawal, would cause this to happen. British citizens living elsewhere in the EU are a positive asset, with most making a significant and positive economic contribution to the countries they reside in. Similarly there would be no expulsion of EU citizens currently residing in the UK. Again, there would be no reason to, and nothing arising from the negotiations would imply it. The overwhelming majority of them make a similar positive contribution to our economy, and it would be very much in the interests of both parties not to change the status quo of those currently residing in each other's territories. Anyone who lives in another EU country for 5 years or more gains the right of residence, and this right would not be rescinded, either for UK citizens who have chosen to live abroad, or for EU citizens who have settled here. The UK remains part of Europe, whether or not it retains its membership of the EU. Undoubtedly UK citizens will continue to wish to take jobs in Europe, even if the UK leaves the EU. It is equally certain that EU citizens will be attracted by employment in the UK. In many businesses these days staff are often rotated through different foreign branches of an international company, gaining both experience and promotion opportunities. This will continue whether the UK remains in the EU or chooses to leave it. People from non-EU countries such as the US, Australia and Japan, come to live and work for a time in EU countries. The same would be true of UK citizens if we ourselves became a non-EU country. It would probably be no more and no less difficult for UK citizens to visit EU countries if the UK were to withdraw from it. We are not part of the Schengen area with its passport-free travel. UK citizens have to take passports and show them at frontiers. They are subject to possible customs and immigration checks. The same is true of EU visitors to the UK. This will continue. The EU has visa-free reciprocity with several countries, and would be virtually certain to achieve similar reciprocity with the UK if it ceased to be an EU member. UK citizens would need passports, not visas, as they do at present to visit EU countries, and their citizens would similarly enjoy visa-free travel to the UK, with admission on showing passports. Again, some make the specious claim that the EU would 'punish' the UK for leaving their club, and would retaliate spitefully against UK tourists. The reality is that many EU countries count UK tourists as important for their economy, and would not allow their governments to make travel more difficult for such visitors. It seems extraordinary that the people who make this false claim are happy to remain in association with countries as spiteful and vindictive as they believe them to be. There might just be the minor difference of UK visitors having to walk through the line for "non EU members" when they arrived in EU countries. But just as UK visitors are usually allowed currently into Schengen countries with a nod and a cursory glance at the passport, so they would almost certainly be treated in future as they entered EU countries. Given the numbers of EU citizens who wish to visit as tourists, it might even be advantageous for both sides to agree to continue the present arrangement both ways.